Here’s a good question: what is a home health agency? These agencies are exactly what they sound like; health agencies that assist individuals in their homes rather than in an office of some sort. A hospice service, for example, would be a great example of a home health company. In addition to that, you have companies that will serve to help individuals recover from injuries at home, making it a very important outpatient service. Home health agencies have one thing in common with office-based healthcare: they need medical coders. That said, taking a medical billing and coding course to prepare you for this line of work is an outstanding idea. 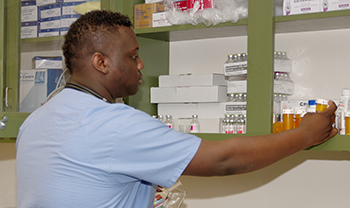 Just like any other medical facility, a home health agency has a need to keep track of several different items. It starts, of course, with the patient diagnosis. In medical billing and coding school, you will learn that every patient receives a unique diagnosis for their visit and this needs to be converted into a code. Once the code is determined it can be applied to the file and the next part of the process begins. After the correct ode for the diagnosis is found, it moves on to the billing portion. The code can be sent to the insurance company, or to whoever is deemed responsible for taking care of the financial side of the equation. We cannot stress enough how important it is to get this part right the first time. The problem with medical coding and billing is that when the diagnosis recorded, it must be recorded exactly right. This means that the code needs to match the care that the patient received. If it is written incorrectly and then sent off to the insurance company for billing purposes, there is a good chance that it is going to be rejected. This is an annoyance, but it also takes up more of your time. Time is money in the professional world and if you do this too often you’re quickly going to notice a finance leak where there really shouldn’t be one. By getting this right the first time, the company saves money and serves the patients a little better. You can see the clear benefit of that! If you want to join this field and really make a difference, then having a strong educational foundation will make all the difference. ITI Technical College offers outstanding course curriculums and certificate programs that will easily get you up to date in the latest techniques and technologies in the coding industry. There is a lot to learn and quite a few things you need to do, but if you are willing to take on the job, then ITI’s experienced instructors will train you and bring out the best of your abilities. Ultimately, it’s up to you, and you could be taking up this career for several different reasons. Maybe your plan is to use this as a jumping off point for another career, or maybe, just maybe you plan to make a career out of it. Either way, we’ll give you the tools that you need to get started whether you’re heading into the home health business or a typical hospital setting. All you need to do is take the first step and contact ITI Technical College today! Medical billing is simply the top payment practice used within the United States health system. Doctors, nurses, and other medical professionals will use it to follow up on claims, sending the proper information to insurance companies so that they can receive the payment due them for the services that they render to the patient. Up until recently, medical billing was done completely on paper, but thanks to new software, the process has gotten much more efficient, with the ability to manage and submit claims for thousands of people without a single problem. We’re going to quickly go over four things that you need to know when you’re going into the medical billing and coding industry. Medical billing and coding is quite literally the bridge between your place of employment and the insurance company. This is process by which you would send an invoice to the insurance company and request a payment. The invoice is known as a claim, and the result of the claim will depend heavily on the situation. For example, in some cases, the insurance company will pay for the entire thing and in others, the patient will need to pay a part of the fee – a process known as co-paying. When you work on the billing side of the business your job is to send the codes to the insurance company, but you need to do so much more than that. Your job is quite literally to help save the practice money, so if you find a code that you are unsure about, ask the physician what procedures were performed. You will make sure that everything is being billed accurately and that none of the practice’s resources are being wasted. In medical billing, you will be utilizing the specialized software. With this software, you will process patient data, which means treatment records, diagnosis, and other related information. Something to keep in mind is that while this might sound simple, it can become very complex if you are dealing with thousands of patients. The right software will not only help you to keep it under control but will help you to keep it all organized. It sounds like a dream, but it’s not. You can easily streamline billing activities all the way from claim submission to insurance management and billing. A little-known fact is that sometimes, medical billing may be outsourced to another company. Right now, there are far fewer hospitals than there were in the last decade, and many hospitals are finding themselves to be a bit lacking in the cash flow area. That being the case, many of them will outsource medical billing and coding to outside companies so that they get a lower price and they are not forced to pay for employee benefits. If you complete training for medical procedure code and decide to jump into the billing side of the industry, then you might do well to look for a company that provides services to a hospital rather than working directly for the hospital. It will allow you to work for many different facilities at once and ensure ongoing employment. As you can see, medical billing is a rather complex affair and it is one that needs to be handled by the most experienced and most knowledgeable individuals. If you ‘re ready to take it on, contact ITI Technical College today and get started with your new education! Medical coding is, without a doubt, one of the most important parts of the medical industry and with good reason. Today we are going to look at a few reasons to jump into the medical billing and coding industry whether you are using it as your primary career path, or you simply plan to use it as a jumping off point for something more lucrative. Whatever your plans are, you are going to find that it is an amazing career and it will be quite rewarding. With that being said, why else should you consider getting into medical billing and coding? Let us take a closer look. Reason 1: The Pay Is Great! The pay for this job is actually quite outstanding. According to the Bureau of Labor Statistics, the median pay in 2016 was $38,040 per year, which means anyone jumping into the field for the first time would be making roughly $18.29 per hour. That is definitely an improvement over most of the other jobs you might find yourself in, especially some of the entry-level ones. To make it even better, the pay will significantly increase as you spend more time in the field and gain more experience. Getting into the medical field has always presented significant challenges for most people, but if you choose to learn medical billing and coding, you can find yourself in a decent career in just a year, or even less. Other routes could see you gaining an education that requires several years of dedication, and while that might be your end goal, you definitely do not want to find yourself working in an unrelated field as you work your way into the medical industry. By working in the field immediately, you gain valuable experience, and you ultimately get to work in a job that you can enjoy – it does not get much better than that. If you want to make a difference in peoples’ lives then you honestly cannot do much better than the medical field. Although you are coding, you are still working in a field that directly saves lives. As someone who works in medical billing and coding, you will be responsible for ensuring that the proper diagnoses are recorded. If you work in both fields (some people do), then you will also be responsible for making sure that the medical professionals in your office are paid. Medical billers and coders are destined to work in a wide variety of different environments; for example, they could be in a private practice or they might find themselves working in a busy hospital. The opportunities are endless! No matter what type of environment you enjoy working in, you will find it in the medical profession. Many fields leave people wondering if they should even try. For example, you have some jobs that look great, but you know you are not going to be able to get into them once you finish your degree or certification training. This just is not the case with a field like medical billing and coding; it’s growing at 13% according to the Bureau of Labor Statistics, which is far faster than average, with an employment change of 27,800 jobs. If you choose to take on medical billing and coding training, you definitely will not be disappointed with the results. As you can see, there are many reasons to pursue a career in the medical coding industry, and ITI Technical College can help you obtain the knowledge and experience you will need to excel in the field. Contact us today to learn more about our course offerings. Financial aid is also available to those who qualify. It might just be time for you to start considering a career change! Are you interested in taking medical billing and coding classes? You are not the only one; this field is constantly growing and has a solid career outlook. However, what can you actually expect from it? Is medical coding a viable career path that individuals should be increasingly considering, or is this simply a fad that will blow over in a few months? This blog will examine medical billing and coding to help you determine if you want to jump into this amazing, albeit challenging career path. After you finish your medical billing and coding training, you will be living in the office for the most part. When it comes to the healthcare office, patients are familiar with two types of people: doctors and the attending nurse. What they do not know, however, is what goes on behind the curtain. Medical coders handle some of the trickiest parts of the industry, and as a result, the industry relies heavily on them. To put it quite simply, the medical coders and billers are responsible for making sure that everyone is paid, and that all of the diagnoses are recorded correctly. After you complete your medical billing and coding education, you are going to be the unsung hero of the office. No one will know about you outside of the staff, but you will be indispensable, even if the patients are not aware of it. Let us take a moment to closely examine the medical billing and coding industry and see exactly what it means to both you and the patients. If you were to look behind the scenes of any doctor’s office, you would find all of the billers and coders working away, whether it is a medical facility, a hospital, a private practice, or something else entirely. While you will wear the same attire as a nurse (scrubs), you will mostly be performing office duties. That said, medical coding is the first step toward completing an insurance claim for a patient, and this applies in an instance of both private and public practice. Facilities will require a code to process the claims, and through this, the insurance company will have a much better understanding of what services the office actually rendered. There are two different ways to train someone in medical coding, the first being the International Classification of Diseases or the ICD, and the Current Procedural Terminology, or CPT. These resources combined will include all of the necessary codes for each and every service. As you can see, it is not only a necessary profession; it is also an extremely complex one. As a medical coder, you will have a wide range of responsibilities that include assigning codes to procedures and diagnoses, inputting information, ensuring the accuracy of the codes, keeping yourself up to date on the latest codes and procedures, and much more. While it can be a rather complicated undertaking, medical billing and coding training is something that will stick with you for the rest of your life. If you are ready to make some serious changes in your life and if you are ready to embark on a brand new career, then now would be an outstanding time for you to contact ITI Technical College and see what we have to offer. We know that medical billing and coding training can become prohibitively expensive, so financial aid is available to those who qualify. Do you want to get into medical billing and coding? Are you itching to get out of your 9-5 job? If so then you probably have plenty of great questions. We aren’t going to pretend to have all of the answers, but we can at least help you with a few of the important ones. Today we’re going to present some of the important facts about medical billing and coding, some of which you already knew, and some that might come as a surprise. Let’s get started! That’s right! While they’re usually said in the same sentence these are two very different professions. So, what are they exactly? Medical Billing – The process by which claims are submitted to the insurance company so that payment can be received for services which are given by a care provider. Medical Coding – In this process codes are assigned to describe the condition of a patient. Additionally, it helps to delegate services provided to the patient to care for the condition. Though these two are different it is definitely feasible for someone to work in both medical billing and coding, and you will mostly find that these are separated in healthcare facilities. Another thing to keep in mind is that if you are working as a medical biller and coder, you may hold those responsibilities and much more around the office. It can be a complicated job, but it is definitely worth it! There are many who work under the belief that medical billers and coders are simply paper pushers. It is thought that they work in an administrative setting, but this couldn’t be further from the truth. Medical billers and coders need to act with autonomy and they must be able to work directly with patients and even healthcare providers. Sometimes they may even need to work with insurance companies. If anyone ever tells you that medical billing and coding training is simple, they’re either lying to you or they just haven’t done it themselves. There are in fact thousands of different codes that can be used by billers and coders to process medical claims. There are medical codes for illnesses, abnormal findings, complaints, social circumstances, diseases, and just about anything else you can imagine. You’re going to need a good memory and you’re going to need to be able to do research. Also, bear in mind that the codes change constantly! One thing that many people don’t know, is that there are actually two different types of medical billers. That is to say, professional billing and institutional billing. You will most definitely learn more about the differences as time goes by, and you will quickly find your fit in the industry. As you can see it’s a very complex industry, but it can also be a very rewarding one if you take the time to learn more about it and to get the education you need. As far as that education is concerned, we are more than ready to provide you with highly qualified instructors who have years of experience in the field. In addition to that, we are able to offer financial aid to those who qualify, giving you a serious leg up and a way to get the foot in your door, no matter what your financial situation is. Take control of your career and your future by giving us a call! As you prepare to dive headfirst into the world of medical billing and coding you undoubtedly have a lot of questions that have gone unanswered for some time. For example, what is the difference between inpatient and outpatient coding? More importantly, is there actually a difference to be worried about? The answer is yes, yes there absolutely is, and you’ll find out more about it as you learn medical procedure codes, but today we’re going to at least scratch the surface. If a patient is admitted to a short-term, long-term, acute care, or psychiatric hospitals with an uncertain diagnosis at discharge, then the diagnosis should be coded as if they would have existed anyway. Coders do not include abnormal findings except in the event the health care provider signifies it is important in some way. Now, with that being said, there are some hospitals that will have entirely different policies when it comes to the coding of uncertain conditions, and all coders do need to make sure that they are in full compliance with the rules of their facility. Inpatient – If the signs and symptoms are presented by the physician as a primary diagnosis then they do not need to be coded in inpatient files. If, however, the symptoms seem to be part of a definitive diagnosis, they can be coded. Outpatient – The problem with outpatient procedures is that so many of them lack an actual diagnosis. With that being the case, it is more acceptable for them to use signs and symptoms for coding purposes. Coders, however, should be constantly on the lookout for new information from the care provider so that they are able to eventually enter a definitive diagnosis. Additional Stays – In the event, a patient needs an additional stay in the hospital as a result of complications, then the principal diagnosis should be the complication. If, however, the complication is non-specific, additional codes will probably be made necessary at that point. Admitted Due to Complications – Here we are bringing up an instance where a patient is admitted due to complications following outpatient surgery or other procedures which are outpatient related. In this case, the complications need to be listed as the principal diagnosis unless the reason for admission is not a complication from surgery. In this case, the first listed reason for the initial surgery would become the principle. What are the Biggest Differences? When it comes right down to it, the biggest reasons for the differences in coding would be the criteria for uncertain conditions. In other words, when you don’t know what the condition is, there are probably going to be two different sets of criteria for addressing it. Now, with that being said, is important that you, as the coder, make sure that you’re adhering to the regulations set forth by the environment you’re working in whether it is a hospital or a private practice. Medical coding needs to be standardized across the facility, and there is little doubt that when done properly, it is responsible for saving lives. Want to know more? Our medical billing and coding course can teach you to become an outstanding coder and can eventually lead you to the career you’ve always wanted. For more information, make sure you give us a call and see what we have to offer you. Your future could be just a phone call away. There is a code available for every condition, every diagnosis, and every cause of death that can be attributed to human beings, all of which are covered by the National Center for Health and Statistics, which is a part of the Centers for Medicare & Medicaid services. Together, they oversee any and all changes to the ICD codes, ensuring that the entire world is up to date on both existing codes and codes that will be added to the lexicon in the years to come. The ICD-10-CM stands for ‘International Classification of Diseases, 10th Revision, Clinical Modification, and uses 3-7 digit alphanumeric codes. 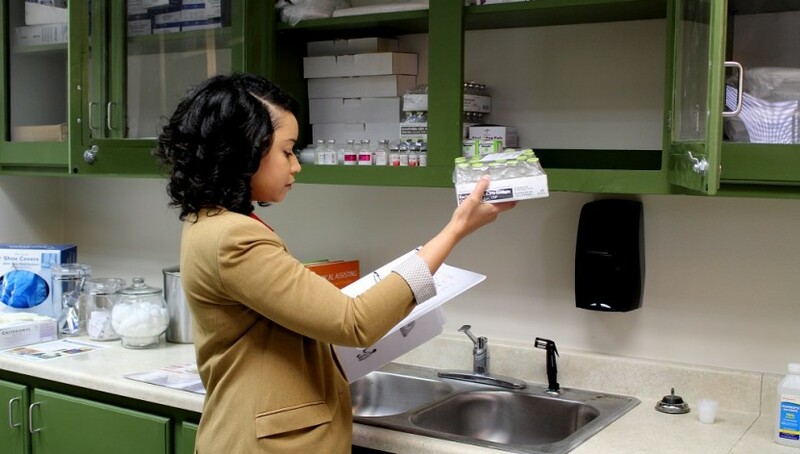 These codes connect to signs, symptoms, diseases, injuries, and much more to ensure that proper treatment is not only rendered, but that proper billing is taken care of. These are two essential parts of any medical practice and without them, the practice would not run smoothly at all – keep that in mind! All codes must be properly documented in the record, and then submitted to a payer so that the practice can receive reimbursement. Without proper coding, it will be impossible for the provider to be paid, potentially leading so severe financial repercussions. Your medical billing and coding education will be essential in keeping the company afloat! Notes: In 2018, the ICD-11 will be finalized, replacing the ICD-10 predecessor, just as the ICD-10 replaced the ICD-9-CM in 2014. CPT is an acronym for Current Procedural Terminology, and these codes are published by the American Medical Association. Their purpose is to provide a uniform data set which can describe surgical and diagnostic services that are provided to the patients that enter and use the services of a medical facility. The codes are submitted on claim forms and they are used exclusively to determine the reimbursement to the provider. Once again, these codes need to be written and submitted accurately or it will be impossible to determine the necessary payment to the provider. Note: The CPT Editorial Panel meets three times annually and discusses potential changes to the code. The topics discussed include upcoming technology as well as any problems that have been identified and how they relate to the code in question. The Medical billing and coding industry is not only rewarding, it can be very lucrative. You stand to make quite a bit of money just by getting your degree and finding a great place to work, and if you’re ready to change your life, then it’s time for you to give us a call and see just what we have to offer you. Our school for medical procedure code will give you an outstanding education and a way to further your life. We have qualified instructors and facilities that will help you to learn your new trade and then transition from an educational environment to the real world in no time. You’re here reading this not because you simply want to change your career but because you want to make a difference in the world and you want to learn a skill that will be highly beneficial for many years to come. Medical billing and coding really fits the bill, so to speak, but what is it, why should you learn it and most importantly, how is it going to help you to make a difference in the world? * What is the patient diagnosed with? * What is the recommended course of treatment? * What treatment was rendered to the patient? There are many other questions, of course, but these three make up the cornerstone of medical billing and coding. So, what does it mean exactly? What is it that you will be doing in this profession? The first thing you need to know is that every SINGLE medical action has a code attributed to it. This means everything from a cast on a broken arm to an IV administered will need to be coded and recorded. The reasons for coding are varied, but the first, and the most important reason is to ensure that the patient in question actually gets the treatment that they need. Improper coding could lead to mistakes and in the medical field, mistakes can potentially lead to death. That being said, part of your medical billing and coding training will include accuracy and fact-checking as you make edits on files and send them off. The second reason for medical billing and coding is to ensure that the practice you are working at is reimbursed for the treatment that they provide to the patient. As you work on files and code them, you need to make absolutely certain that the right coding is used, otherwise, you could end up with an inaccurate billing statement and the practice may not be fully paid for the services that were rendered. Too many mistakes of this type and you could find that your entire job is at stake which is not the outcome you want by any means. If you want to properly learn medical billing and coding then you will need to make sure that you’re getting a quality education. Your first step, obviously, will be an accredited institution that is able to offer you a wide range of services. For example, we offer amazing teachers and most importantly, top of the line facilities that will give you the hands-on experience that you need to proceed forward in your career. One of the most critical parts of education is making sure that you have the ability to make the transition from an educational environment to a more practical one – with us, you definitely have the ability to do so, and you’ll be able to maintain a great career afterward. Would you like to know more? Are you interested in quitting the 9-5 grind and taking up a career that actually means something? You could be planning to work in medical billing and coding for your entire life, or you might simply be planning to use it as a stepping stone. Either way, we’re here to help! Give us a call or check out more information right here on our website. What is Medical Billing and Coding Certification? Medical billing is essentially exactly what it sounds like; medical billers take the information from the medical coder and they use it to calculate the bill. It may sound like a pretty daunting field and to be honest, there are some hurdles to overcome, especially when it comes to certification. Before we jump into the certification portion, however, let’s talk a bit about what it is and what you should expect to be doing it. To start, medical coding is basically translation. As the coder, you will be tasked with taking a diagnosis and translating it into an alphanumeric code. For every diagnosis, from a slight headache to cerebral palsy, there is a corresponding code and as the coder, you will either need to know it, or you will need to be able to look it up. There are literally thousands of different codes that can be used, from medical procedures to outpatient procedures, diagnosis, and much more. Current Procedure Terminology (CPT) – Refers to functional services that are being performed on the patient. As part of medical billing and coding education, you will learn these codes which act as a universal language between medical facilities, insurance companies, government agencies, and much more. Each code that is put into use will have its own subset of rules and be used for a very specific purpose. Learn it and love it! Medical billing is essentially exactly what it sounds like; medical billers take the information from the medical coder and they use it to calculate the bill. In this way, the two professions go hand in hand. Of course, it’s not nearly as simple as it might sound as you will need to take into account their insurance, their co-pay, and dozens of other calculations that could seem extremely complicated. This isn’t a simple job but it is a very rewarding one. A biller has many different jobs, but the primary one is ensuring that the healthcare provider is properly reimbursed whether it is through the individual or through their insurance carrier. This is the most basic of medical billing and coding certifications that you can obtain and it stands for Certified Coding Associate. To sit for this exam you will need to have either a high school diploma or a GED, so make sure that you are prepared for that. Also keep in mind that AHIMA does not require specialized training, but you should have a basic understanding of medical terminology, coding, anatomy/physiology, and perhaps some on the job coding experience. With the AAPC you have a number of ways to achieve certification from bundling courses or going module by module. It can be a bit more expensive and in depth, but it is also more comprehensive and overall a great thing to have on your resume. There is nothing simple about medical billing and coding but it can be an extremely rewarding experience. That said, you would do well to start looking at the career opportunities and checking into financial aid options. It’s about time you jumped into a career that will last and will allow you to make a difference. Medical billing and coding will do exactly that. Comments Off on What is Medical Billing and Coding Certification? Degree vs. Certification: What do You Need for Medical Billing and Coding? If you’re thinking about entering the Medical Billing and Coding industry, you’ll need to know about the qualifications that are needed to keep you competitive in the job market. Like any career, Medical Coding requires the right education, as it’s a highly technical role that will rely on efficient and highly accurate data entry. However, unlike many rewarding jobs, you won’t need a full Associates’ or Bachelor’s degree to become a fully qualified medical coder. You can learn Medical Coding at an accredited school, and with 12 months of full-time study, you could be ready to start work. Let’s take a look at the requirements and the difference between Degrees and Certification in the Medical Coding industry. Medical Coding covers a number of highly specific tasks, and in the field, it will be your job to keep accurate records of patients and medical facilities. Although this is a technical role, it’s not one that would require long years of intensive study. A Degree course will typically prepare you for industries that are highly varied, where a deep understanding and a number of sub-skills would be required to perform a role. Medical Coding is highly specified, so the course information can be covered in a shorter amount of time, making this an excellent pathway to get into the healthcare industry. This does not mean that Medical Coding school requires less focus, and many students will find that a full year of training can be more intensive than a year of undergraduate Degree study. Students will need to be highly attentive, a home study will be required to become proficient and comfortable with Medical Coding, and a pre-existing understanding of anatomy and even data entry can be helpful. At the ITI Technical College, you’ll receive all of the structured lessons and support that you need to succeed, and as long as you are determined and hardworking, you could be the proud holder of a Medical Billing and Coding certification after your full year of study. What if You Already Have a Degree? Changing industries or moving to a different area of the healthcare industry could be a realistic career path for many people. Having a related Degree will not be detrimental to your training in Medical Coding, and could even be beneficial, depending on the Degree that you hold. Nursing Degrees and even Pharmaceutical Degrees could provide a deeper understanding of the medical terminology and environments in the industry, and these could make it easier for anyone to make the switch to Medical Coding. In some cases, related Degrees could mean that Medical Coding could be learned on the job, without the need for a certificate. Of course, every case is unique, and most employers will be looking for a specific certification that relates to the standardized medical codes that are used in the healthcare and insurance industries today. You’ll become proficient in the two coding systems used in the U.S. when you learn Medical Coding at ITI Technical College, making you highly employable, even when compared to job applicants that hold degrees related to healthcare. 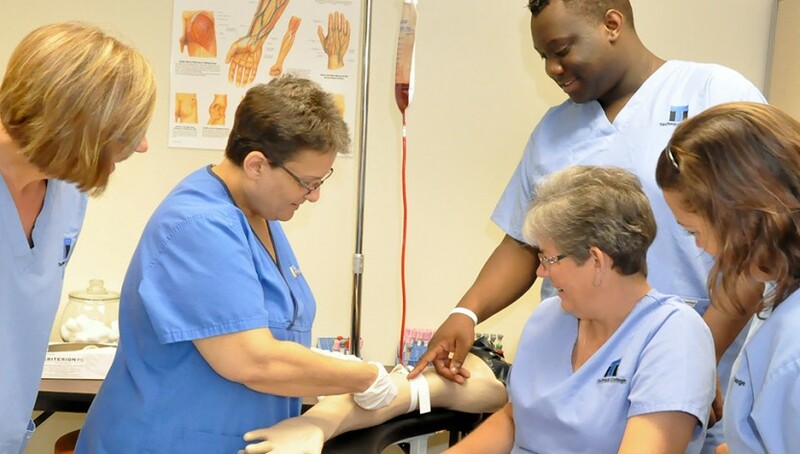 Whether you have a degree and are wanting to change jobs, or if you’re a high school graduate who is looking to start a successful career path, the ITI Technical College is a great place to get Medical Coding training in Baton Rouge LA. Call us today and speak to our enrollment team about upcoming programs starts, and get all of the information that you will need to get on track for an exciting, highly rewarding, and financially stable career. Comments Off on Degree vs. Certification: What do You Need for Medical Billing and Coding?